VoA - Hello Vugar! 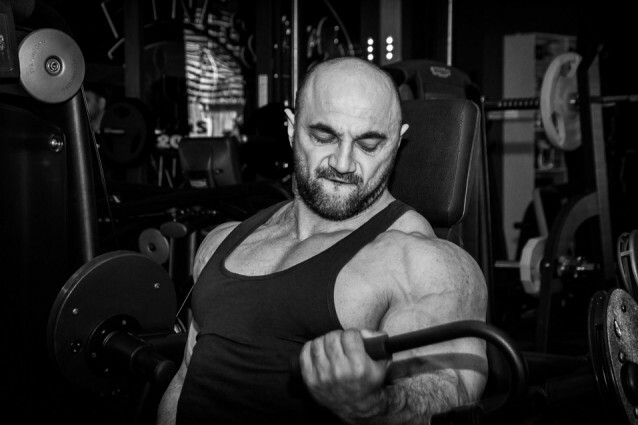 Bodybuilding is a very specific sport, and many people in Azerbaijan still don’t know that it exists here. Where does your love of this sport come from? After all, you’ve been doing it daily for more than 20 years? VV – Oh, it’s a long story. How did I get involved in this sport? I haven’t left the gym for 26 years. I’m always here, every day, without rest or holiday. Do you remember the first time you were introduced to it? As I child, I boxed. My father took me to a friend of his and said that he wanted me to learn how to defend myself, so I could stand up for myself when I needed to. For my father’s sake, I boxed for three years, but then I stopped. Sport disappeared from my life. I wasn’t interested at the time. My elder brother was always doing sport. He was a former sambo wrestler. He was always having a go at me. One day he even took me to meet his friends at the playground. There were no gyms at the time – everything was homemade. He told me to do a few chin-ups on the bar. To my shame, I couldn’t do a single chin-up that day. I was in the ninth grade at the time. My brother beat me very badly that day, and in front of everybody. I still remember that. I cried a lot and decided I would never do any sport. My brother was ashamed of me. He was an example for everyone, and there I was, his brother, who couldn’t even do one chin-up. Tell us Vugar muellim, is there a difference between the guys that do this sport now and when you started bodybuilding? If so, what is it? Yes, definitely yes. There weren’t so many gyms back then. There were no exercise machines – not just good ones, there weren’t any at all. I remember my first barbell – it was a handle from a mop used to wash the floor and two iron wheels I brought from a factory. I made that barbell myself. I made the dumbbells myself too. My first gym was a balcony in my parents’ apartment – three by two metres. My mum always told me off: What is this? You’re always carrying iron around. I’m not going to clean up after you. I told my parents that this is my balcony, don’t touch it, I’ll clean it up myself. I glued pictures of Schwarzenegger all around the balcony walls. My mum was very much against it, but I insisted and kept bringing the weights home. She told me: Go and study, go and learn how to earn money. This won’t give you anything. What is your mother saying now after so many years and all the titles you’ve won? When I first became champion of Azerbaijan and was on television, I came home after the competition and saw my mother. She was sitting and crying. I hugged her. I was very happy. She’s very proud of me. She always tells everyone: Look at yourself and look at my son! This is my son! Do you remember your first performance? Was it scary going on stage for the first time? You never forget something like that. It was in 1994. There were about 20 of us athletes and there wasn’t a weight class. I finished in the top 10 and that was a huge success for me. I was very happy. I really wanted to win the national championship. I dreamt of winning at least one cup, at least one medal before I retire from the sport. So that it wasn’t all a waste. Over 26 years, I’ve won the national championship 18 times. But you’re also a European and world champion. Yes, I went to my first European Championship in 2002. I finished eighth then. I learned some lessons and set myself the goal of winning this championship – why not? You perform in order to draw conclusions and compare yourself with others and decide what you need to do to get better. The same year, I went to the World Championships in Egypt. I arrived in Egypt. I go into the hotel and see all these athletes in real life and I’m one of them, I’m an athlete equal to them. I’m among those I once admired. Then I said to myself: Well, Vugar, here is the moment of truth. You’re among them, you’re like them too, and maybe even better! You wanted to perform? So here’s your chance! At the beginning of my career, I often watched recordings of the Mr Olympia championships and admired the bodybuilders’ physique. When I went to the Arnold Classic in America and saw my idol Sean Ray, I realised I was one of them. The cup was presented to me by Rich Gaspari himself, winner of the Mr Olympia. I watched that guy on videocassettes in the 1980s. At the end of the awards ceremony, Arnold Schwarzenegger himself came up to me. I touched what I had been striving for all my life. I was standing on the stage together with people I had admired in my youth. I was one of them. You received your Pro Card last autumn in Milan, one of the most coveted titles in bodybuilding. Congratulations! You are the first Azerbaijani athlete to receive this title which is a great success and a huge step in your career. After all, sport is not just about cups, medals and titles, it’s also about overcoming hardship. Thank you! Yes, I’ve received the Pro Card. People often ask me, How do you stay in shape? I don’t do anything special. I simply have a regime, not just a diet and exercise regime, I have a regime for life. I must always be in shape. After all, I’m a pro! And you have to prove it every day. I may be invited to competitions, to exhibition performances, and I can’t afford not to be in form. It’s hard work. I’ll see it through right to the end, because I love what I do! When someone loves their work very much, there can’t be any obstacles! It seems that it’s not just men doing bodybuilding these days – it’s gaining popularity among women too. Are more and women in Azerbaijan coming to the gym? Bodybuilding is divided into many categories these days. Some of them attract women, but most of them do it to stay toned and keep their figure. You’re also a coach. I know that you train guys for competitions, that you help lots of people to lose weight and get the figure they want. Who can come to you? Anyone! Anyone interested in working out can come to Vugar Verdiyev. I don’t divide people into categories. I train both professional athletes and ordinary people who want to change their way of life and the way they look. You can do bodybuilding from the age of 15 or 16, but it all depends on your physical condition. You must do it with a coach. You can’t exercise on your own without understanding what you’re doing. If you have the desire, strength and determination, then you can exercise at any age. You have a family with three children. With such a hectic life, do you have enough time for them? I’m in the gym from morning till evening. Sport takes up all my time. I only have Sunday left for my family. I sit down for a long time chatting with my children. They’re very proud of me. My eldest son does sport as well. He’s a swimmer. If your son came up to you tomorrow and said that he wanted to do bodybuilding, would you try to talk him out of it? I would explain to him how much hard work is in store for him, and if he insisted, I would definitely support him! I would give him my heart! Professional sport is about sweat, blood, nerves, tears, injuries, but it’s also about great success, glory and satisfaction with what you’re doing at a very professional level. What would you say to those who are hesitating about whether or not they should get involved in sport? After all, it’s no secret that many people feel embarrassed to come to the gym, especially if they know they’re overweight. They shouldn’t! There’s no need to be embarassed. If you want to work out, go and do it. 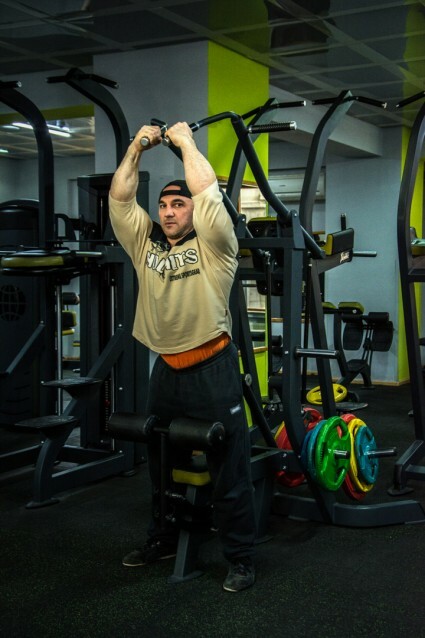 There are lots of good gyms and coaches in Azerbaijan. There’s a lot of choice and all the facilities are there to do any sport. You don’t have to do bodybuilding or fitness. 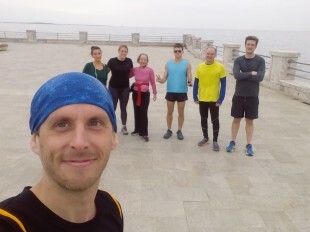 Go and swim, go and play tennis, go running! Do something because you’re doing it for yourself. I wish people what’s most important – health! He’s a simple person. I’m a very simple person. What does it mean to be a champion, an undisputed champion of Azerbaijan, a champion of Europe, a champion of the world? I was a champion yesterday. I was on stage yesterday. I received a cup yesterday, but when I woke up today I was an ordinary person again. Today I’m a coach. I might bring someone tea, I might wipe sweat off the forehead of a guy who’s working out, I might share my lunch with someone or give my shirt away. Today I’m just an ordinary person. When someone comes to the gym, they need to know two things. First, why did they come? Second, they need to correctly explain to the coach what they want. These are the most important things. Thank you very much for your honest interview. We wish you continued success and great victories! 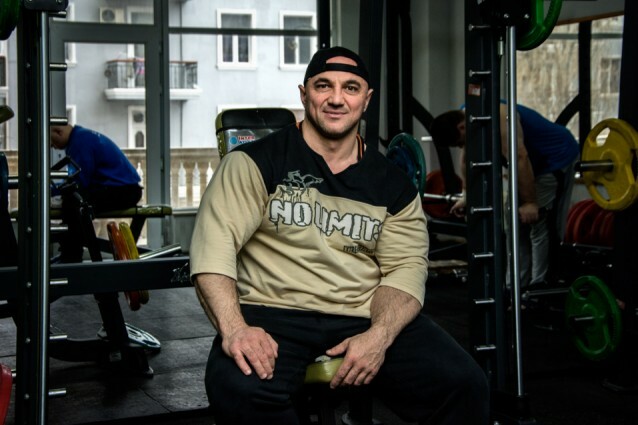 This wasn’t just an interview with a champion, it was an interview with someone with a big heart – Vugar Verdiyev is both a champion and an ordinary man. And if you are contemplating whether you should do sports or not, go for it. As this undisputed champion of Azerbaijan, champion of Europe and champion of the world said, do it for yourself! About the author: Aurelia Nasirova is a Bulgarian freelance writer and photographer who is currently living and working in Baku.